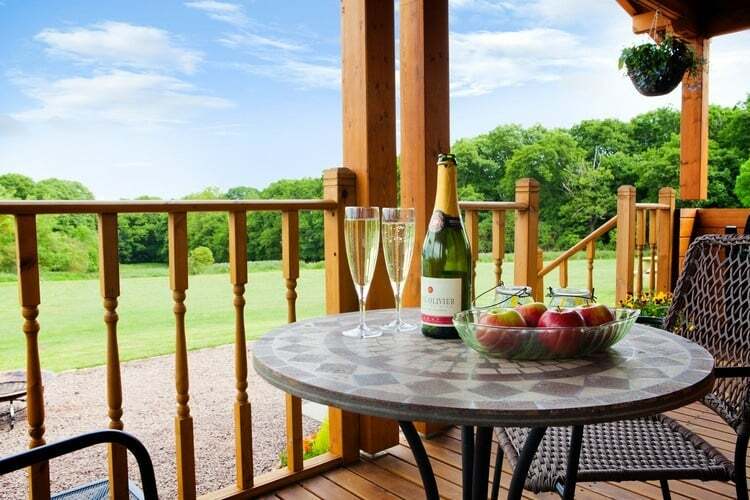 Treat yourself to a luxury break and stay at one of our outstanding one and two bedroom log cabins both of which have their own private Hot Tub, situated on the edge of the Wyre Forest. Enjoy the beautiful scenery and wildlife that surrounds you on our exclusive adult only site which leads directly into the Forest. The nearby Forestry Visitor Centre at Callow Hill has a great cafe and lots of interesting things to do throughout the year. Although we are situated right on the edge of the Forest we are only an hour away from Birmingham’s NEC, NIA and airport. The West Midland Safari Park and Bewdleys Severn Valley Railway are right on our doorstep and we are well situated for Ludlow and Cheltenham Festivals and Races. Worcester City is nearby with its horse-racing and cricket ground as well as having the Cathedral and Porcelain Museum plus a great shopping centre. The historic Georgian town of Bewdley is our newest town, with its beautiful buildings, interesting Museum and of course the River Severn to walk along and fish on. Locally there are fishing pools and excellent golf courses where you will be made most welcome. Shops, restaurants and takeaways are all within a short walk or car ride. The cabins are well presented with a fully fitted kitchen (tea, coffee and condiments included). A comfortable lounge/dining area with freeview TV, DVD and CD/Radio player. The bathrooms have a very large 2 person jacuzzi bath and hydrotherapy showers. Bedding, towels, gas and electric are included in the price. complementary Bubbly and chocolates await your arrival. Please Note: Our cabins are no children under 15 (except by prior arrangement) no pets and no smoking establishments, (smoking is allowed on the outside decking area).